Sölden traditionally plays host to the first event of the FIS World Cup in October. From theHotel Bergland it is just a short ride on the shuttle service to the centre of the village and the lifts giving skiers and boarders access to a ski resort like no other. 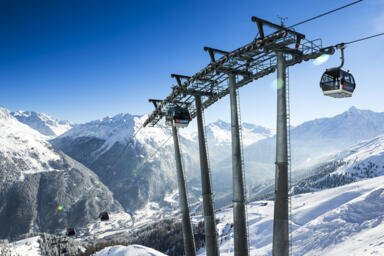 Snowsure pistes combined with majestic views, a modern infrastructure and an incredible 1,990m altitude difference from top to bottom make Sölden and its glaciers the perfect destination for skiers of all ages and abilities. Don't believe us? Come and find out for yourself! 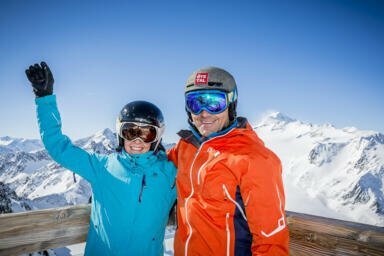 From gentle slopes for beginners at Innerwald and Giggijoch to many blue and red slopes for cruisers and challenging black runs on the Gaislachkogel mountain, Sölden is known as a resort which caters for skiers and boarders of all ages and abilities. The Gaislachkogel is also a well-known freeride hotspot. A total of 32 modern lifts and cable cars capable of transporting 67,000 people an hour give quick and easy access to the slopes. The new Giggijochbahn (1.2km) and Gaislachkoglbahn (600m) cable cars connect the Hotel Bergland to the main lift network. 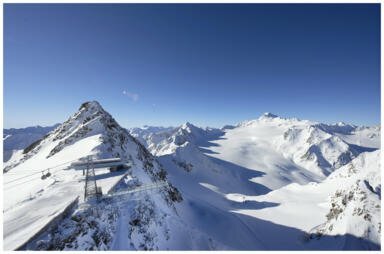 The high altitude of the resort (1,350m – 3,340m) including the Rettenbachferner und Tiefenbachferner glaciers mean that Sölden offers top conditions from October until May. More than three quarters of the pistes are covered by artificial snow-making. Unlike any other resort in Austria, Sölden is home to not one, not two but three mountains over 3,000m in altitude: the Schwarze Schneide (3,340m), the Tiefenbachkogel (3,250m) and the Gaislachkogel (3,059m). These BIG3, as they are commonly known, are connected together by a ski safari called the BIG3 Rally offering breathtaking views of the Ötztal Alps. The 13km descent from the top of the Schwarze Schneide drops an incredible 1,900 vertical metres. 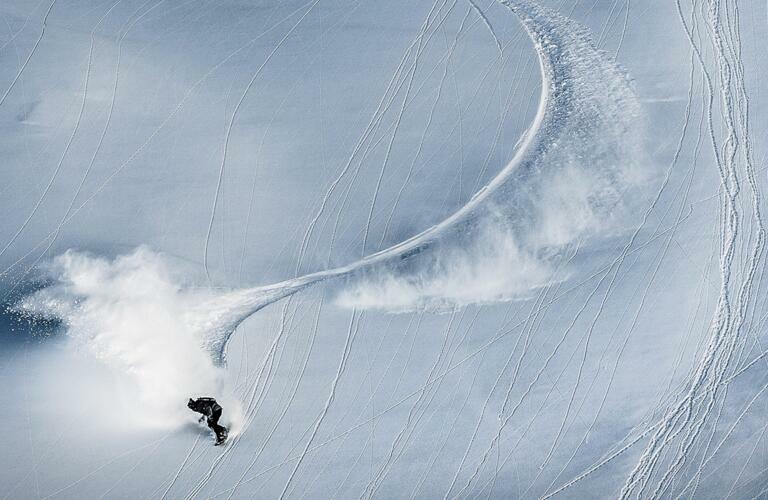 It is one of the longest non-stop runs in Austria and is a real challenge even for those with legs of steel. As well as normal pistes, Sölden has a number of moguls runs, skicross courses, race courses and the Funpark Giggijoch, one of Austria's most popular snowparks. 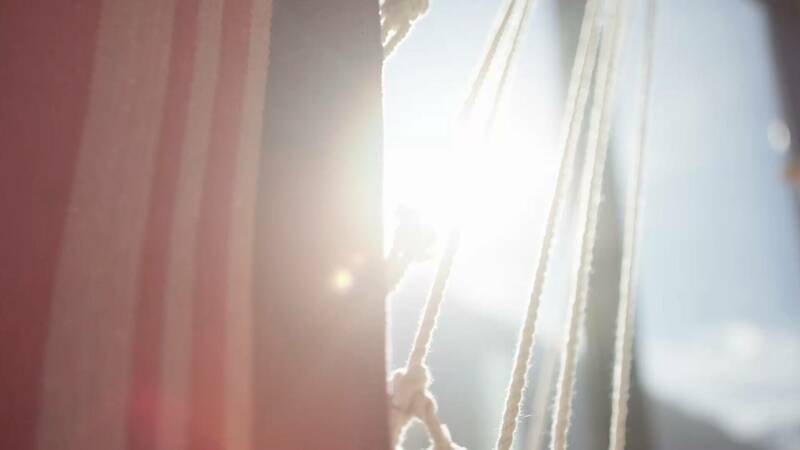 In the resort there are more than 30 traditional huts serving excellent food and drink. Eateries range from self-service restaurants to elegant slopeside options. Tip! 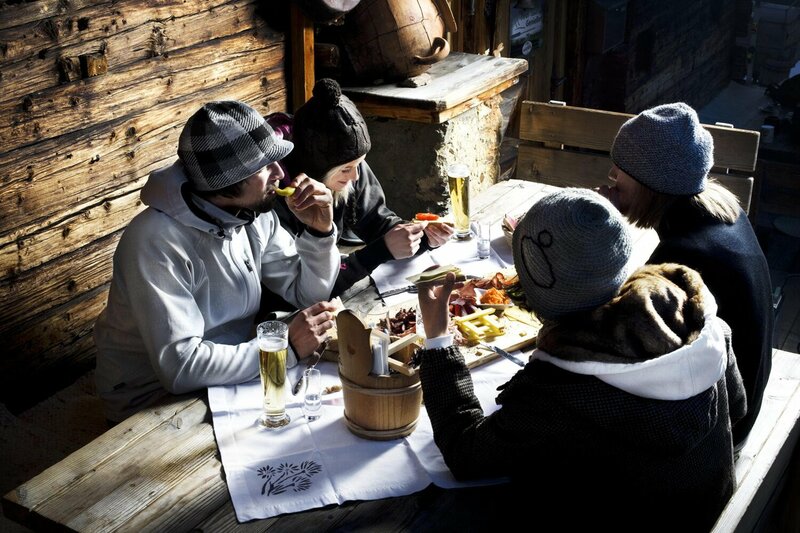 Visit the Hühnersteign restaurant next to the Stabele six-man chairlift. It is run by the sister of Hotel Bergland owner Sigi Grüner and enjoys an excellent location right next to the slopes. From winter 2017/18 the ski pass for Sölden will also be valid in Obergurgl-Hochgurgl. This means that skiers and boarders will have access to 256 kilometres of slopes. A shuttle bus connects the resorts of Sölden and Hochgurgl.